I will also try to update this article as time goes on, but if you feel anything is wrong here, please feel free to let me know, either via the comments or email. I might have missed something while writing it. If you know of any additional cameras from Sony that would be supported in the same way and you can validate they work, let me know and I’ll update the article to reflect compatibility. I’ve tried to cover an overview of the most commonly used Godox gear first, along with some recommendations on what I believe are the best first purchases if you plan on buying into the Godox system with Sony. After the gear port of the article, I’ve moved straight into the use with Sony, so feel free to skip the gear section if you feel this is irrelevant. When I wrote this article, I realised that the audience in some cases may be new to flash. As a result, I’ve included fairly basic descriptions of what I consider “Flash Basics” at certain points in the article. These will be relevant to a specific area I am writing about and will help extend the knowledge for a novice. These are not comprehensive detailed descriptions so you may need to research these further if you don’t understand. They are areas that more experienced photographers will already know and as a result, to avoid boring the crap out of the more experienced photographers, I’ve included these in a box entitled “Flash Basics”. An example of a subject I am talking about is “What is Flash vs Ambient”. In some cases, I’ve written a short description, in others, I’ve just pointed to a video that covers these areas well enough that it’s pointless me writing about it. One of the greatest advantages of the Godox system is the ability to mix and match speedlights and strobes with a variety of camera systems, along with the low-cost entry point for people looking to experiment or start using lighting for the first time. Many of the Strobe brands do not manufacture speedlights and many speedlight brands do not manufacture strobes. Godox (along with Profoto) is one of the few to provide both options. I’ve tried to cover all speedlights, strobes, and triggers here, and I will continue to update these as time goes on, and new models arrive, but please understand I’m not planning to buy every speedlight and strobe they manufacture so my hands-on experience with some models may be limited. I have not covered the non-battery studio models of their strobe lineup. Flash Havoc have an extensive overview of the whole Godox lineup that is worth looking at. The difference between these two has always been blurred, more so in recent years. Do a search on google and you’ll find 5 different definitions. Some people consider the difference to be the power output; others whether it has a cable or battery, for some it’s whether it has a fresnel or globe head. I couldn’t find any definitive definition which is part of the challenge. As a result, lets assume for the sake of this article that a speedlight is a lightweight flash that can be used on camera and the strobe is a high-powered flash designed to be used off camera. It’s not to say you can’t put a speedlight off camera, but you can’t put a strobe on camera. 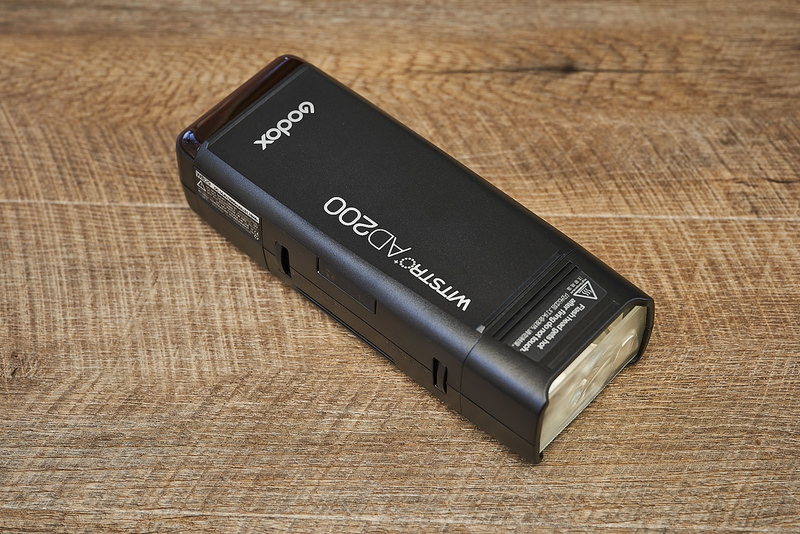 Typically in the speedlight range, a TT version is an AA battery version and a V version is one supplied with a rechargeable battery. In the case of some (like the TT350/V350), the names match however with the V860 and TT685, they don’t…don’t ask me why. The S indicates Sony version, although they are compatible with other cameras if used with the brand specific trigger. i.e. you can trigger a Sony flash on a Fujifilm camera with a Fujifilm trigger. 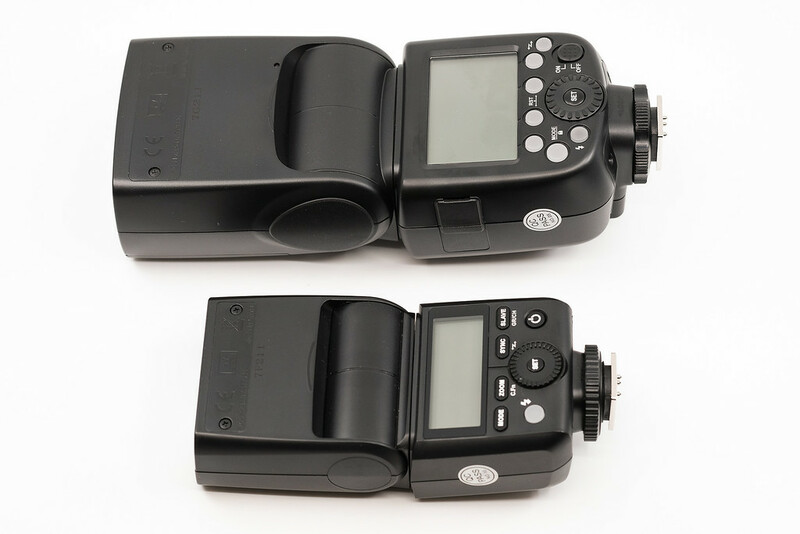 The Godox TT350S and V350S are similar the same unit, however, the V350S version comes with a battery and charger whilst the TT350S uses 2 AA batteries. The V350S goes for $159 and the TT350S goes for $89. The small flash is more suited to the size of the Sony mirrorless cameras, however, these units have a limited amount of power, about 2 stops worse than the larger brother, and this, in turn, will limit your capability with the speedlight. I’m personally not a huge fan of on camera flash, so I would avoid this option unless you intend using it as an on camera flash for travel where you need to keep the weight down. Long term, I think most users will outgrow the capability of the speedlight fairly quickly, so unless you’re a point and shoot photographer with no intentions of ever taking the flash off your camera, go for the V860 which I cover in the next section. I would recommend the internal rechargeable over the AA version if you do go for this model. The recharge time between flashes is faster and the batteries can produce more full-powered flashes per charge. The version that comes with rechargeable batteries is more expensive for obvious reasons. The TT688S and X are the full powered speedlights Godox’s range offering a power output of 85ws, hence the 85 in the name. Whilst the 685 is large, it also offers what I consider the minimum acceptable power for any decent flash work. 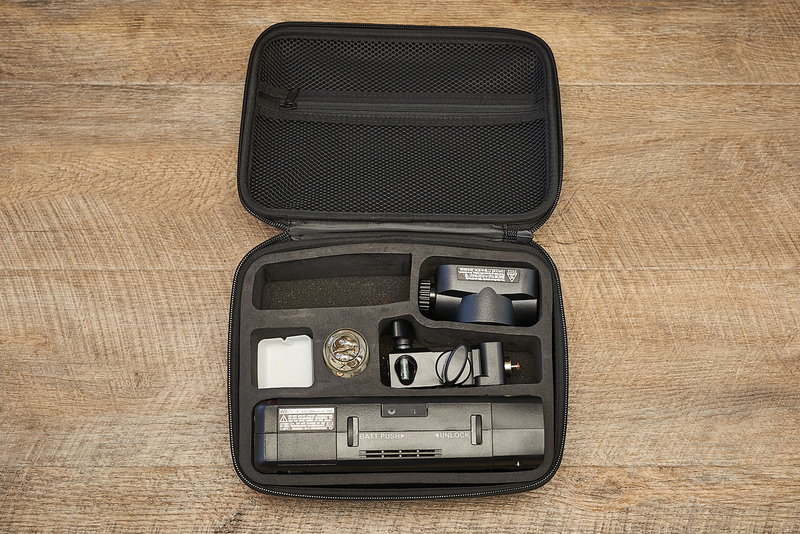 As with the TT350, the 685 is offered in two different versions, an AA version, and a rechargeable version. The V860iiS goes for $189 whilst the TT685S goes for $110. As you can see from the pricing, there is only a small premium for the V860 over the V350 with a substantial power increase, and as a result, unless size is a constraint, I’d recommend buying the more powerful version. Important note: The TT685 and V860ii are prone to hotshoe breaks for some obscure reason. If this does occur, hotshoes can be purchased separately and at a fairly low cost. I haven’t had to replace mine as I do not do much on-camera flash, but I’d recommend carrying a spare speedlight if you shoot weddings. For more information on replacing the hotshoe, have a look at this article and video. Important note: The larger Godox speedlights are known to have hotshoe breakage issues for people who use them heavily. If this occurs, you can buy replacement hotshoes on EBay or at your local Godox stockist. There are many videos that show the replacement process on youtube. Godox has a good range of strobes, but for the purpose of this, I’m going to focus on the battery-powered strobes which include the AD200, AD360, AD400 and AD600/AD600 Pro. The name indicates the power output of the strobe. I.e. the AD200 has 200ws of power whilst the AD600 has 600ws. 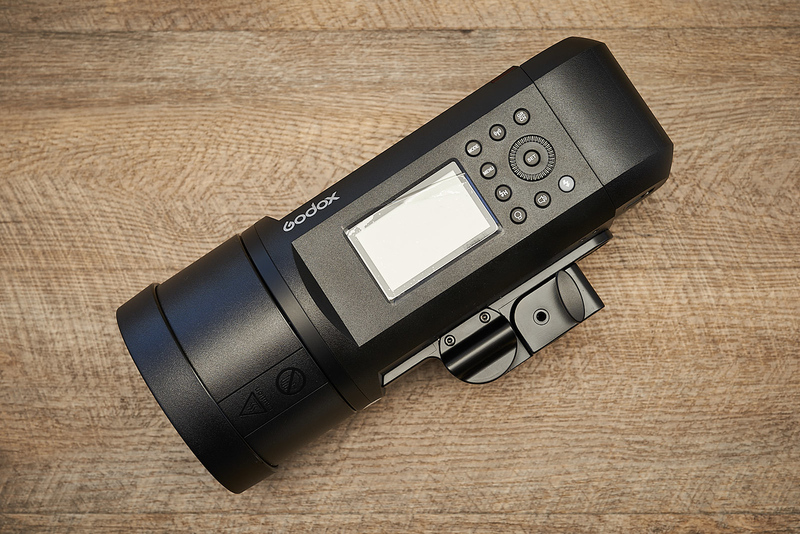 The AD200 is the most popular strobe from Godox due to the compact size and high-powered output. It’s provided in a case with both a fresnel and bulb head, along with a bracket to mount it on a light stand. If you are looking to get into off-camera flash, this is where I would start. It’s small, flexible and lightweight, and you can carry 3 with you without breaking a sweat. The AD200 retails for around US$300 without a trigger which is pretty reasonable. Battery power on the AD200 is very good. I’ve used two of these in a forest with 4 fellow photographers and about 1,000 pops without draining the battery but ultimately it’s going to depend on the power output. One of the great things with the AD200 is that Godox offer a bowens bracket with built in modelling lamp that allows you to combine two AD200’s into a single 400ws strobe. That gives you the flexibility of having a single AD400 and two AD200’s depending on what you are planning to do. The AD400 was released in 2018 and is new to the Godox lineup. It falls cleanly between the AD200 and AD600. The AD400 starts to bridge into a territory of being too large to carry around in your camera bag, due to the increased thickness which is twice as thick as the AD200. I don’t have hands-on experience with this model, but many of photographers I know that have purchased these love them. In comparison to the AD600 Pro, I would question whether you will need 600WS of power. The AD400 should be sufficient for most situations. My Magbox review consisted of two AD200’s shooting into the sun and it was more than enough power to overpower the sun so it would have to be some pretty brutal light or a large softbox to need more than this. 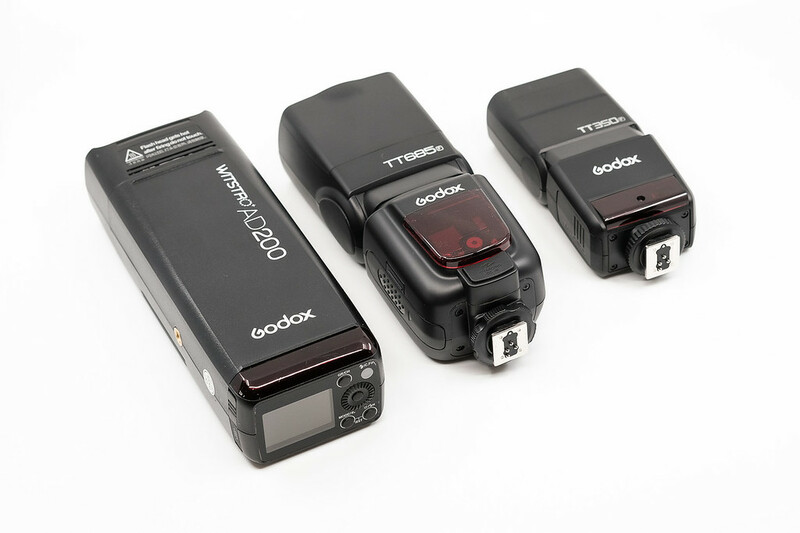 The AD600 and AD600 Pro models are the most powerful strobes in Godox’s lineup that consist of a built-in battery as opposed to an external battery pack. The pro version is a recent upgrade to the AD6oo and offers more stable colour temperature and faster recycle times. The AD600 series comes with a weight premium over the smaller models. 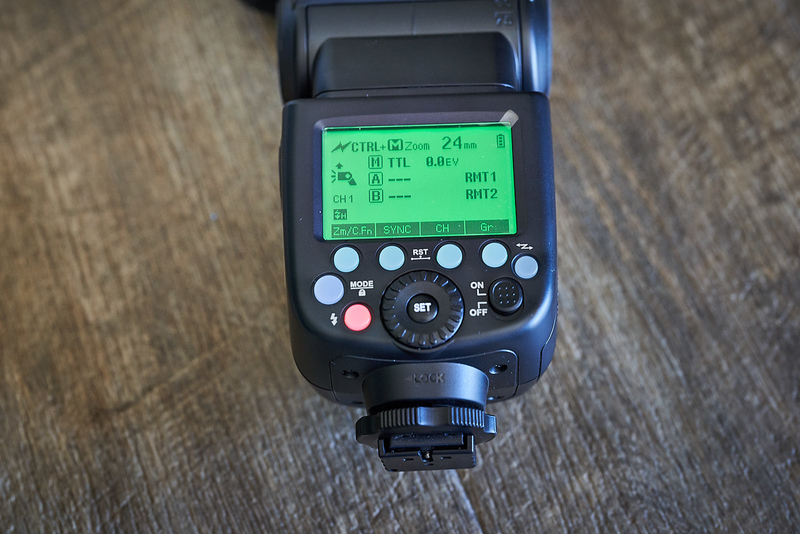 The AD600 (non-Pro) comes in a manual version which includes HSS, or a TTL version which includes HSS. They used to offer it in a unique Godox or Bowens mount, but the Godox mount seems to have been phased out in favour of Bowens mount. If you have the option of both, I’d recommend a TTL Bowens mount. Godox offer some nice accessories for the AD series of strobes. These include extension cables to take the strobe bulb off the head of the strobe and extend it on a cable with the strobe unit becoming a battery pack. This is great for keeping weight off the head in stronger winds or when you have an assistant hand holding a softbox on a boom and they aren’t Superman. Godox has two triggers which I have covered below. If you want to skip this section and know which to buy, buy the XPro S, it’s worth the additional cost over the X1S. If buying the XPro is going to mean you can feed yourself, get the X1, it’ll do most of what the XPro can do, but it’s not nearly as intuitive or well designed. 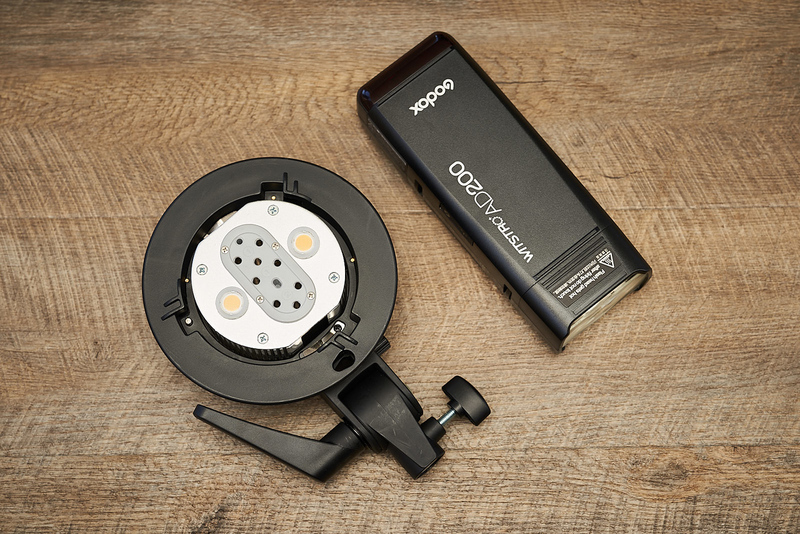 The Godox speedlights can also be used as triggers but I’d recommend using a dedicated trigger for usability reasons. 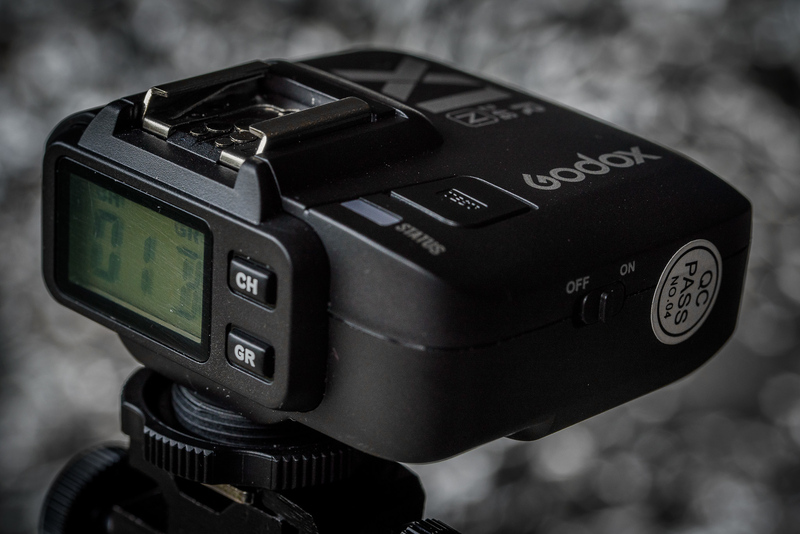 The X1 is the original trigger from Godox. I had this when I was shooting Nikon, and when I shot with Fujifilm but switched to the XPro when it was released. It’s a good trigger, but with the availability of the XPro trigger, I wouldn’t recommend it for the simple reason that you can get a far better trigger for a minimal amount more and it is worth the difference. The X1 trigger offers full control over the Godox tangle of speedlights and strobes with the ability to switch between manual and TTL and it’s capable of triggering HSS with compatible cameras. For one, the trigger sits flat on the hot shoe which limits access to some of the controls on the camera. This is less of an issue with Sony but with Fujifilm, the top dials were more critical. 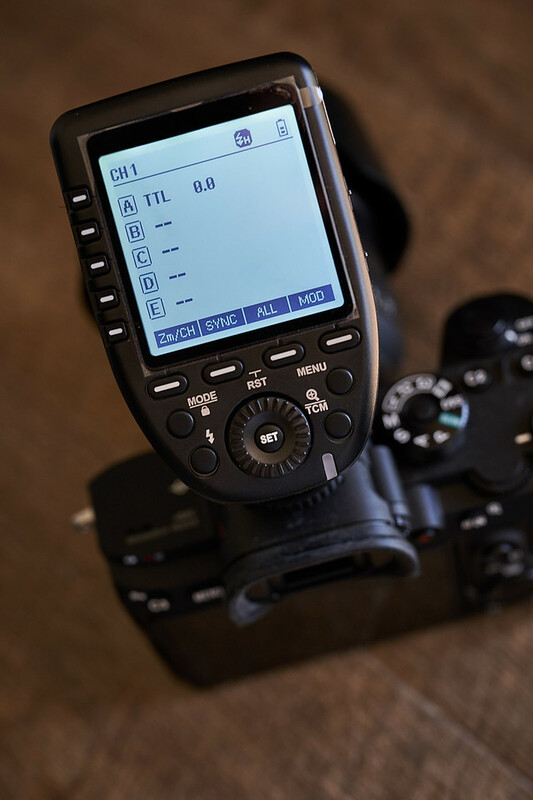 TTL to Manual – The ability to take the current TTL settings and switch over to complete manual allowing you more control if you are not happy with some of the refinements in TTL. This reduces the requirement for a light meter. From a usability perspective, the XPro wins heads and shoulders over the X1, it’s almost hard to compare the two, like a beta and a final version. All of the strobes and speedlights covered in this article have receivers built into the flash unit. Do I buy TTL or Manual? This will probably be controversial, but some of the seasoned professionals are going to tell you “don’t worry about TTL, no professional uses TTL”. I’m going to respectfully disagree with these people, many of whom have never actually shot with a TTL strobe. For them, it’s about the comfort of doing things they way they have always done and the discomfort with losing control, but like anything, technology changes and TTL has matured to a point where it is pro-ready. Think of it like mirrorless. 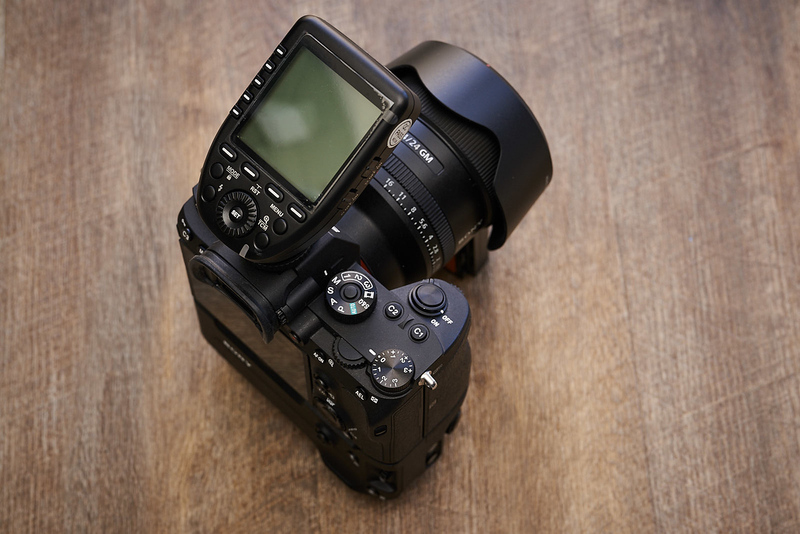 The initial mirrorless cameras were basic consumer grade cameras, but now mirrorless is good enough for professional use and the same applies to TTL. Its matured and in many cases is capable of making decisions more accurately due to its ability to adapt to changing lighting conditions. Using TTL isn’t about losing control, you have the same level of control in dynamic situations. I.e. sun goes behind the clouds and all of a sudden, your lighting needs to change, but with TTL, it doesn’t. In short, if you know enough about strobes to know what you need, buy whatever you want, if you don’t, buy the TTL version. Best case scenario, you buy TTL and don’t use it, worst case, you buy manual and need TTL and don’t have it. 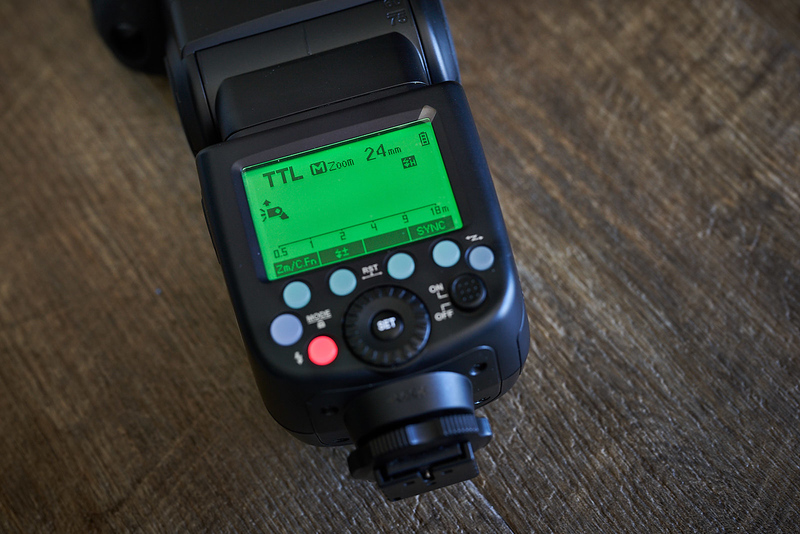 Flash Basics: What is TTL? What Godox gear would I recommend buying? If you’re an experience flash photographer you can probably skip this section because you should have a fair idea of what you need. If you are on a limited budget and have no experience with the flash, you could start with the TT350 or V350, but overall, if your budget isn’t limited I’d recommend getting the V860ii instead because it is a little better from a future-proofing perspective. If you want a recommended starting point for getting into off camera flash, I’d recommended starting point would be an AD200 and an XPro Trigger. This will give you a starting point with a powerful enough flash to grow into decent softboxes. It is also powerful enough to overpower the sun in many situations and can be doubled up with another one in a Godox supplied bracket for a 400ws strobe. If you have a good budget, I’d say get a single AD600 Pro and two AD200’s or AD400’s, depending on how many lights you need. You could also get a V860ii which could double as a 4th light due to the interoperability of the lights. Flash Basics: What about modifiers Should I buy? Flash modifiers is a massive topic in itself – you could write an entire article dedicated to it. For the sake of keeping it simple, if you’re new to lighting, I’d recommend starting with the 40 or 60cm square softbox if you have a speedlight, or an 80-90cm Octa (round) softbox if you are buying a strobe. My preference for larger softboxes is the Magbox or Rimelite due to the ease at which they can be set up but they also come with a big price premium. If you can’t afford these, a basic Godox model would be adequate. 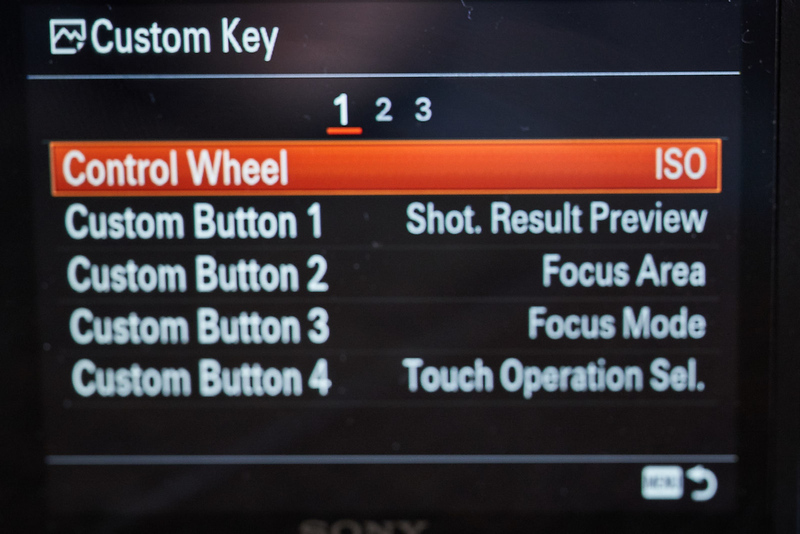 Sony has the great functionality where you can create a whole set of custom settings which you can recall at any point in time. That saves you having to change the settings on a regular basis. 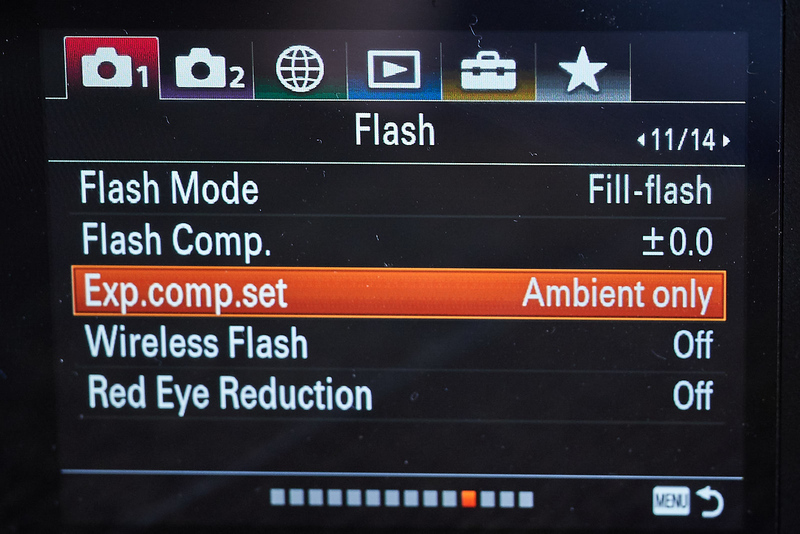 There are a couple of settings you are more likely to only use during flash so having the ability to switch these over automatically for when you use flash will save you a lot of time every time you have to change these settings. If you want to know how to do it, check out this video from Mark Galer that covers the setup of custom modes or memory recalls. Mark Galer is a respected Sony Ambassador and has some great video tutorials on his site so I’d recommend having a look when you have time. Go to Camera Setting 2 (the camera with the 2 next to it), page 4/9 and the first option in the list will be silent shooting. You will need to switch off silent shooting. Flash doesn’t work with an electronic shutter so the Sony system will not trigger the flash if it’s switched on. Great for not annoying guests at weddings, terrible for flash work because your flash won’t actually work. Go to Camera Setting 2 (the camera with the 2 next to it), page 4/9 and the second option in the list will be e-Front Curtain Shut. 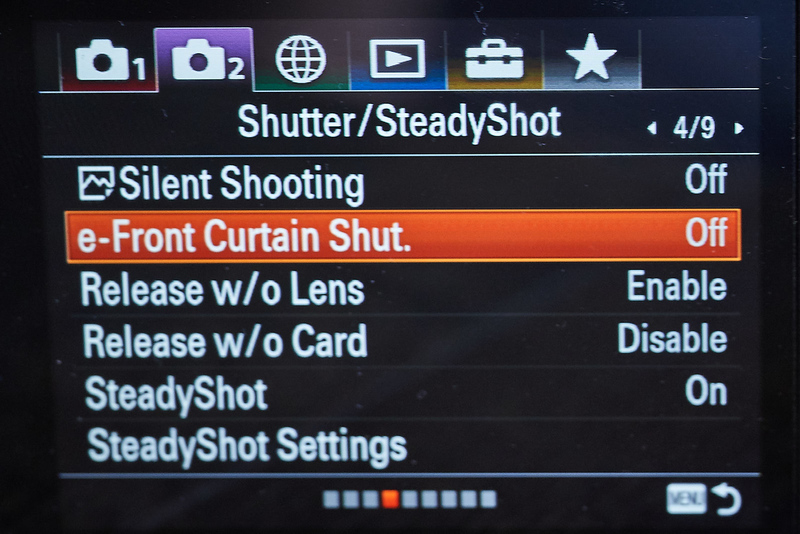 The front curtain shutter causes banding when used with HSS so its recommended that you switch off front curtain shutter and stick to mechanical when shooting flash. Go to Camera Setting 1 (the camera with the 1 next to it), page 11/14 entitled “Flash” and for the option called wireless and switch this off. The wireless option is for Sony’s wireless speedlight system, not the Godox system. I haven’t picked up any adverse reactions through having this on, but I have had speedlight issues so unless you are using Sony’s wireless system, turn it off. On occasion, you will encounter an issue where TTL or HSS won’t work but the flash seems to be triggering fine. More often than not, this is as a result of the flash not being seated correctly. When you seat the flash or trigger, take the time to make sure it’s seated properly. Go to Camera Setting 1 (the camera with the 1 next to it), page 11/14 entitled “Flash” and for the option called Exp.comp.set ensure this is set to Ambient only. This is to separately the exposure compensation for ambient and flash because flash can be adjusted using the TTL settings on the flash or trigger and the ambient can be adjusted with the exposure compensation dial. Realistically you would have the ISO set to manual anyway, but in the beginning, this may not be the case. If you don’t know the difference, flash is where the light from flash is impacting, ambient is everywhere the flash isn’t impacting. Imagine you are shooting a model in a forest; if you turn off the flash, that is ambient because the flash will only affect a portion of the photo. You need to be able to change this, because you may want to portray a scene as dark and moody with the highlight on the model, or just fill enough of the shadows to make it difficult to tell that flash was used. This is part of the creative process. The second issue is that the flash can sometimes impact ambient, so by separating these, you can change a setting without impacting the whole scene. When you shoot flash, you need to adjust these independently if you aren’t in manual mode. Eventually you will be in manual and this won’t make a difference. Yes, I know it sounds strange but you have to turn off anti-flicker mode and there are some good reasons behind it. When you use anti-flicker, it interferes with the ability to turn the Shot Result Preview display on. I’ll cover why in the next point. Go to Camera Setting 1, Page 14/14 and turn anti-flicker off. Assign Shot Result Preview to a button if you shoot flash regularly. Go to Camera Setting 2, 8/9 (Custom Operation1) and select the first option which is for photos. Assign Shot Result Display to a button, I normally use C1 which is right now the shutter button. 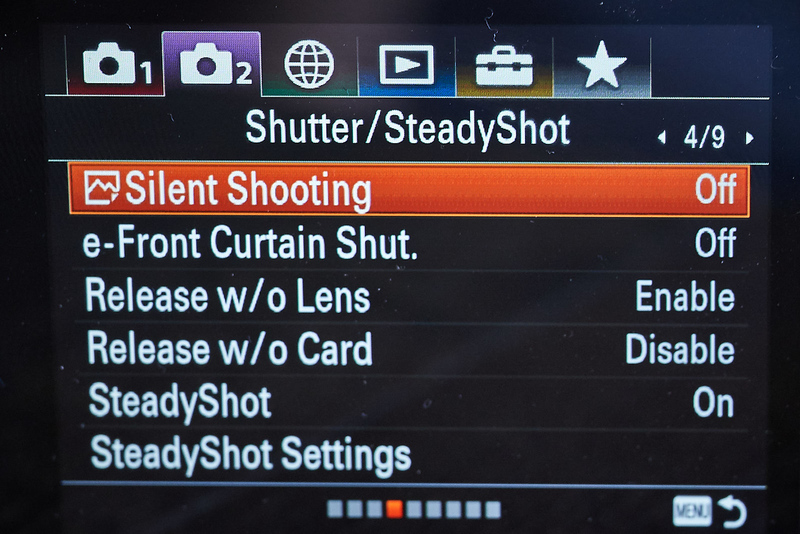 Shot Result Display preview is the functionality that allow you to see what the exposure looks like. If you’re shooting indoors at f/8 1/250 and ISO100 with flash, the ambient is going to be pretty dark so you may not be able to see what you’re shooting. Sony cameras are smart – When they detect a flash they turn off the live preview and there is a good reason behind it so now you can see as if you were looking at a perfectly exposed photo. But that’s a good and bad thing, because if you are shooting in a forest with a flash on the subject, you still want to see what the areas will look like that aren’t getting flash and to do that, you’re going to have to turn off the trigger the whole time, which may or may not cause some of the settings on the flashes to change. By assigning this to a button, you can switch it on the preview by holding down the button and it will show you what the ambient will look like for as long as you hold down the button. How do I switch on TTL? Using TTL with the Godox system is relatively easy. All you have to do is setup the camera the way you want and then put on the flash or trigger, set the group to TTL and fire away. Provided you have changed the settings above, it should work. For speedlights, it is important to ensure that they are in the correct receiver/trigger setup. If you are using it on camera, it needs to be setup so the flash is in receiver mode. The screen of the V860ii will change between orange and green depending on the mode it is in. For on camera, it should be in green. If you are using it wirelessly, ensure that it is in wireless receiver mode, and the group and channel are set correctly. The screen on the V860ii will be orange in this mode with a flashing wireless sign in the top left corner. If it looks like this, it won’t work. This indicates it is being used as a controller. Flash basics: What are groups and channels in flash? Groups and channels are used to ensure that you can only trigger a specific set of speedlights or strobes and you can adjust the settings of individual strobes or groups of strobes. Different group example: Lets assume you are in a studio and you have 3 strobes setup. The one on the backdrop you may want at full power to make it white, the key light at half power and the hair light at one eighth power. To set the strobes up this way, you need to assign each to its own channel so you can adjust them independently. For more info on groups and channels, have a look at this link. How do I switch on HSS? HSS can be switched on one of two ways, in manual or TTL. In TTL the HSS fires automatically when the shutter is higher than the sync speed which is 1/180 to 1/250 on most cameras. 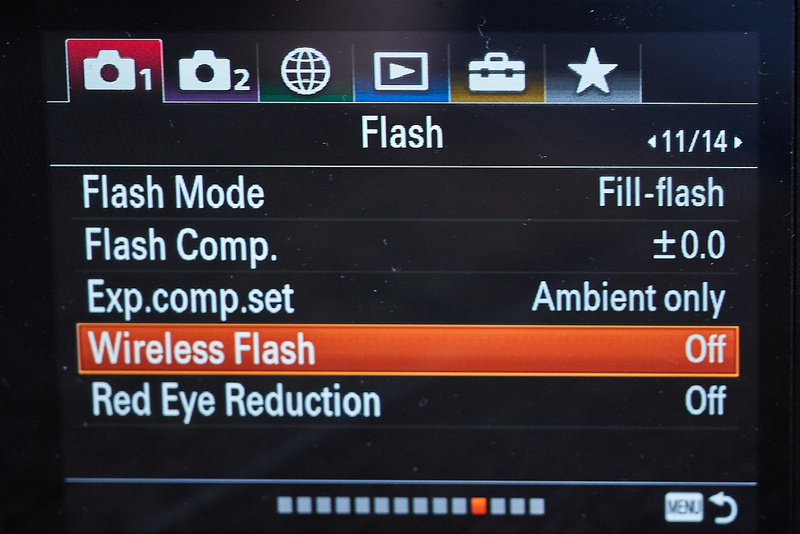 Flash Basics: What is HSS? HSS (High Speed Sync) is the ability to shoot photos faster than the sync speed of the camera and is typically used for action or photos where you are shooting into the sun with a shallow depth of field which requires a faster shutter. You can read more about it at this link. The problem with most flash systems is that TTL doesn’t use the full power of the flash. You can test easily by leaving auto ISO on and taking a photo with the flash bouncing off the ceiling. Set the camera to f/8, 1/250 and Auto ISO and take a photo with TTL. In a largish dark room, you will find the ISO rising to around 3200 or 6400. Then set your camera to f/8 1/250 and ISO100 and take a photo with TTL. The photo will likely be exposed at the same level (unless its a really large room, a small flash or a high ceiling) and yet, you have a much lower ISO. Now set the flash to manual and conduct the same exercise. If the flash photo is overexposed, it means the flash wasn’t using full power at ISO100. What this means is you have to be careful about the use of auto ISO. One option if you’re not sure what ISO value to set based on the flash power is to set an acceptable level of ISO as a maximum, ISO800 as an example and let the camera push the ISO up to this maximum level. This will allow you some level of leeway without having to worry about the camera pushing the ISO up too high. I run two systems…will my Sony specific V860ii S or V350 S work with my Nikon/Canon/Fujifilm etc. Yes and no. It will only work in manual mode for on-camera flash, but it will work with TTL and HSS if you have the appropriate trigger. I.e. Canon Trigger with Canon Camera. Can the speedlight be used as a transmitter? Yes, they can, but the interface isn’t that user-friendly. I’d recommend getting a dedicated trigger. If you are asking that question, then yes, I’d recommend getting TTL. Your learning curve will be much faster. What lighting tutorials would you recommend? I’d recommend starting with youtube, it’s free. If you can’t find what you want, try http://www.kelbyone.com and have a look at some of the education streams that take you from beginner all the way up. Can I charge the V350 or V860 by the USB port? No, it’s only for firmware. Batteries must be charged with the provided charger. Where can I learn how to use individual speedlights or strobes from Godox? I’d recommend Robert Hall as a source for videos on individual Godox components. He has an extensive library of videos covering each of the speedlights and strobes. I added this section after someone highlighted an error with the Godox V860 and I was able to validate it. The V860 seems to have an issue where the speedlight goes to full power when you have the speedlight on camera and the shutter goes to 1/250, even when HSS is set. If you use a wireless trigger, it seems to work fine with the same speedlight. I’ve confirmed this error and will let you know if this is resolved through a firmware update. The AF assist lamp on the speedlights does not seem to be compatible with the Sony system at the point of writing. Whether this is fixed by a firmware in future is a different question, but I’ll update this article if it is. It does however work on the trigger with the latest firmware in place. As mentioned higher up in the article under the speedlights, the hotshoes are known to be a little lightweight and more prone to break. There are details of where to buy these and how to change these in the speedlights section. Previous Sorry, Sony Australia – 2 out of 20 simply isn’t good enough! Thanks a lot for detailed information! I am planning to switch from Canon system, where I have a lot of flashes, strobes, lenses etc. to Sony system, and this article is kind of money and time saver for me. This is very detailed post, I’ll have to get my head around it in the morning! Just a quick question, why would you recommend the V860 over the TT685? Thanks! I’ve read the whole article now, thanks for writing! I’ve ordered the TT685 already, I’ll write a review on my own site when it arrives. In your article, just at the end, you’re saying you can’t use the USB port for charging the rechargeable flash units, but you don’t explain how you should charge them. It looks like you were going to write about that? That comment only applies to the V models which come with a battery although the port is obviously available on the TT models. For the TT models you’ll need to have an AA battery charger. Fixed the half comment, thanks for that. Thanks for this guide, have to review my settings when I am back at home. I have a strange behavior when bouncing the flash though. Once I am exposing with less than 1/250, say 1/350, the flash doesn’t seem to do TTL anymore. It always immediately fires with full power. Moreover, Flash Compensation using the camera is not working anymore. With 1/250 and slower it works perfectly fine. Have you faced the same? Which flash and which body? If it’s exceeding the sync speed (1/250), it sounds like the flash isn’t seated properly or you don’t have HSS switched on for the flash. It’s an A7R III and a V860II-s. HSS on. Also tested it on my old A7, gives the same behaviour. It kind of drives me crazy. Well, I’d say so, I explicitly checked it couple of times because like you wrote, it’s a little bit edgy with this socket. Would be very appreciated if you can do a test. I might send it back and get another one, just have it since a week. Alright, so did a couple of tests to validate your issue. I can replicate the issue you experienced with on camera, under 1/250, works perfectly, over 1/250, flash blows out. Adjusting TTL on the flash does reduce power, so if you go TTL -2.0 stops, it reduces the flash to normal, but obviously thats not the way its supposed to work. What is interesting, is that off camera flash works perfectly. If I put an X-Pro trigger and use the same speed light off camera, it exposes perfectly. I don’t use my flash on camera over 1/250, I’m normally using something stronger, but I’ll let you know if I find a fix. Many thanks for confirming. It has driven me nuts already. Funny thing is, that no one obviously uses this flash as a HSS flash on camera, otherwise people woud have noticed. Indeed the manual compensation on the flash also works over 1/250 but it is kinda annoying. You saved me from ordering a second flash for testing just to find out the exact same behavior.